San Diego’s Shipping Industry Thrives with the Support of Forklift Trucks. With its large deep water port and easy connection to the Pacific Ocean, San Diego, California hosts the largest naval fleet in the United States along with many companies that service the variety of ships located there. From the early days of the 20th Century, San Diego still has the only major shipbuilding and submarine yards located anywhere on the West Coast. The shipbuilding industry relies heavily on forklifts san diego, or as they are sometimes called lift trucks, fork trucks or tow-motors. With the shipbuilding process taken part in stages from small-scale assembly first, mid-scale next and then large-scale construction occurring last, industrial used forklifts san diego are employed. A telehandler or scissor lift rental san diego may also be used to complete the job. From sit down riders carrying building materials to boom lifts reaching great heights, forklifts support welders, electricians and other builders as they assemble large parts of each craft together. A forklift rental san diego and purchase are both vital in the building and repairing of everything from yachts, cargo ships and military vessels. With continued growth expected next year, the shipbuilding industry will need hundreds of forklifts san diego to keep up with demand, especially after several years of flat output. North America is one of the largest markets for san diego forklift sales while worldwide unit sales topped nearly a million orders in 2011 per the World Industrial Truck Statistics organization. A recent 2012 survey conducted by Modern Materials Handling magazine had 64% of respondents saying that they were likely to purchase a new lift truck in the next 24 months. 123Forklift is the largest distributor of new and used forklifts in San Diego. 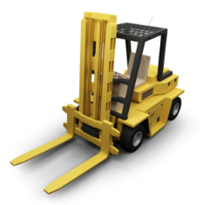 We also offer forklift rental san diego, parts and servicing. With location all across San Diego and Southern California, we stock hundreds of forklifts for every industry and application. Our inventory includes all major brands and models of every san diego forklift. View our online inventory by completing the form above or call to speak with a representative at 877-326-2047.